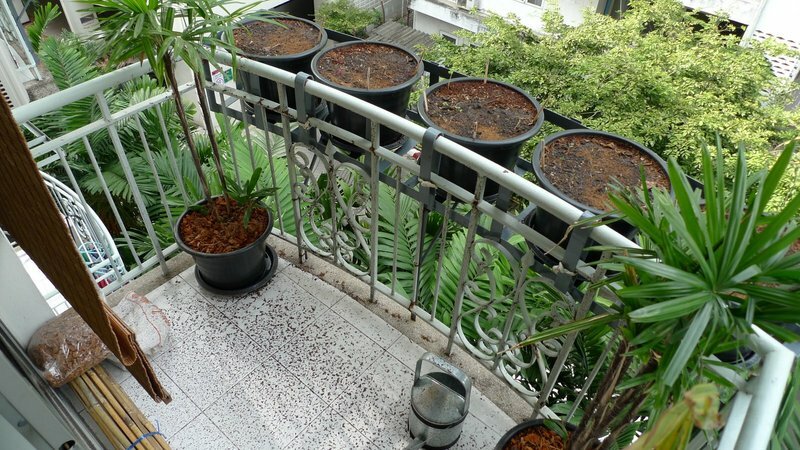 This entry was posted in Uncategorized and tagged Balcony, Bangkok, condo, Container, garden, gardening, Grow, Herbs, Home, plants, Pots, Vegetables by christao408. Bookmark the permalink. Do you think the pots with the saucers might increase the chances for mosquito larvae breeding? I think the first lesson is the best – start in small pots and move to the larger as needed. It does give the plants time to get settled and resist any attack by rain. Morning sun is the best as it is not that strong and will not burn the plants. Basil is hardy. It will do well for you. Thjs looks like a new edition of “Farmtown” and we are not even on Facebook. exciting! i love watching my plants come up. that cilantro does look like cilantro. the first pair of leaves looks like that, and the rest of the leaves will look like the familiar crinkly shape. 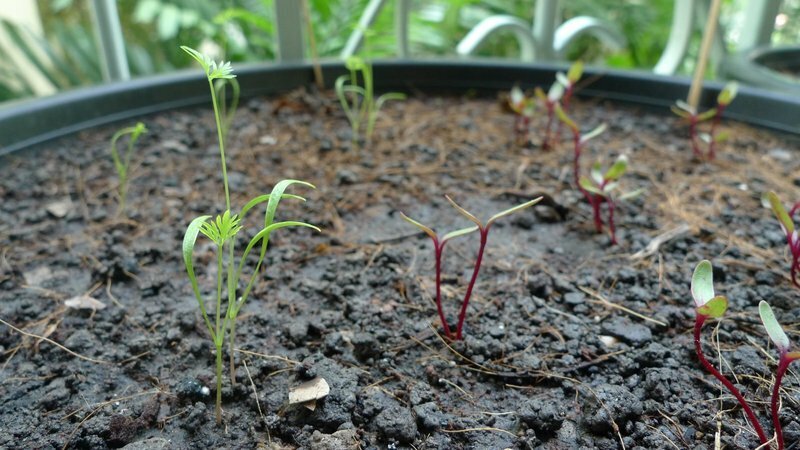 you should keep planting cilantro every few weeks because once they get mature enough, they will bolt fairly quickly in the heat (but the good news is one plant gives you back plenty of seeds (i.e., coriander) to replant!). i read up on rosemary and they actually suggest planting rosemary that is already well developed, as it is supposed to take a really long time for rosemary to grow and branch. so you will probably have a long time to wait for your rosemary. Some of those may need more space to grow, like the tomatoes, carrots and beets. Are you going to get rectangular shaped pots later on? You are right about the pots being too big for the tiny seeds. Do you have ‘miracle grow’ in BKK? I use that very so often for my plants. Good luck! DO NOT hold your breath to see Cilantro grow. It takes FOREVER! Try growing Methi; it’s a greens otherwise known as Fenugreek in English. It grows before your eyes and within a week you have some wonderful shoots. It is VERY good when cooked with meat or chicken and potatoes. I grow it every year in a pot, and after washing and removing the roots and stalks, I freeze them in small packages to use in winter. Chris I think you will like using this greens. Let me know if you can get the seeds there, if not I will send you some from here.Also, in the same pot with your basil, add a couple of shoots of thyme and sage. They just never die, even when basil is gone. Container gardening is a little tricky but well worth the effort. Your basil looks good! Don’t fret – even failures are learning experiences. @murisopsis – That’s true and the cost of the entertainment is low. @ZSA_MD – Have never heard of Methi; will have to see if it goes by another name here in Thailand. Thanks for the thyme and sage suggestions, too. @CurryPuffy – We don’t have Miracle Gro but do have various other fertilizers. Ideally, I would be making and adding my own compost, but that may be a bit ambitious for the moment. 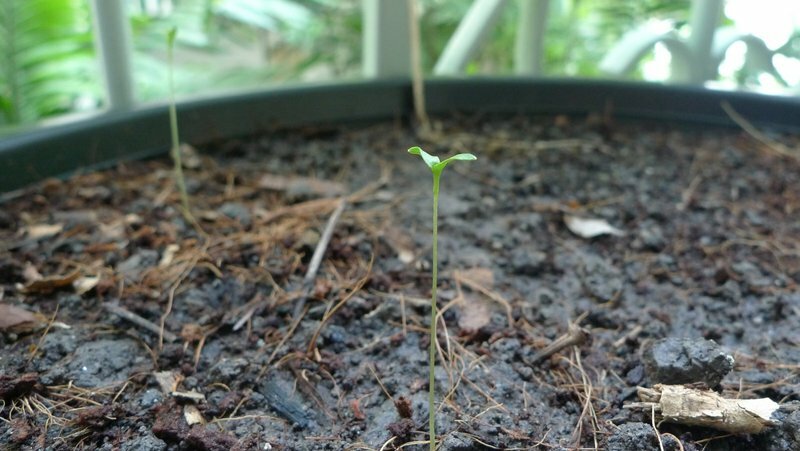 @kunhuo42 – Maybe my rosemary will surprise me in a few months. Thanks for the suggestion about the cilantro; I’ll buy some small containers and start future plants in them. @The_Eyes_Of_A_Painter – Wait until I start raising a cow! 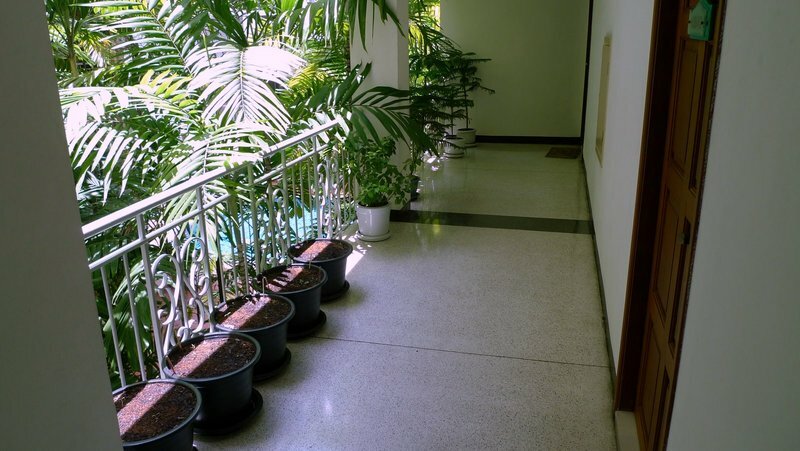 @Fatcat723 – I’m worried that once the sun does come around to the balcony side, it will be too strong for the plants. The irony is that when the sun is on that side of the house, it is “cool season” here, which is a bit of a misnomer. @beowulf222 – Written like a Singaporean! If I have standing water in the trays for more than a day, I empty them. @christao408 – Haha, yeah, I’ve been here far too long I guess. You and Tawn should get a landed property so that you can create a garden right out of “Country Home”. Lovely garden! Hope those are coming along nicely for you =). I love watching the progression of greenage. 🙂 I do most of my things in pots, in order to discourage the cats from ‘fertilizing’ my garden. 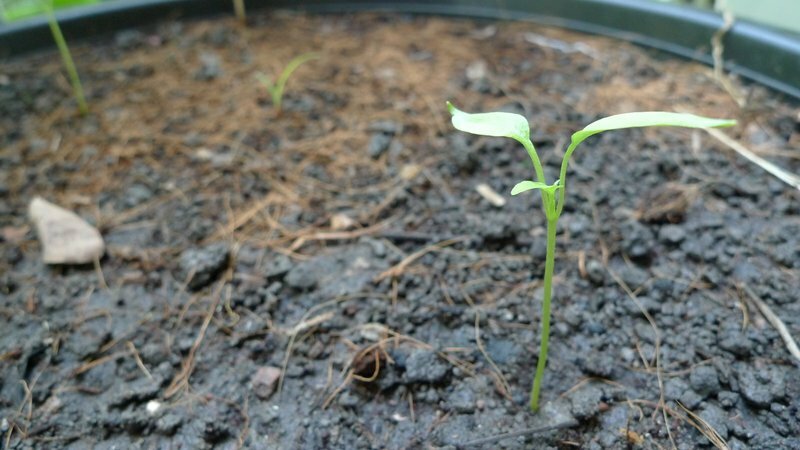 When it comes time to separate the little seedlings, or at any time really, gently pry them away from one another with a chopstick or pencil. Better to do it sooner than later in order to avoid root entanglement and tearing. (something which always happens to me because I tend to overplant in a single container. 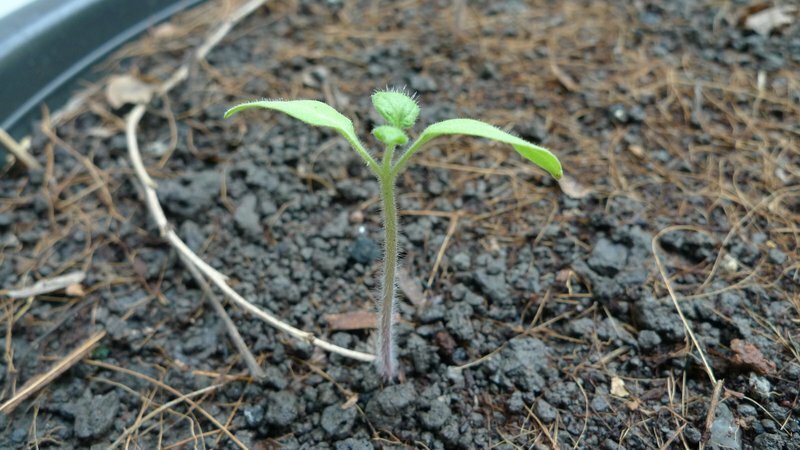 )Seeds themselves don’t require the sunlight to grow. 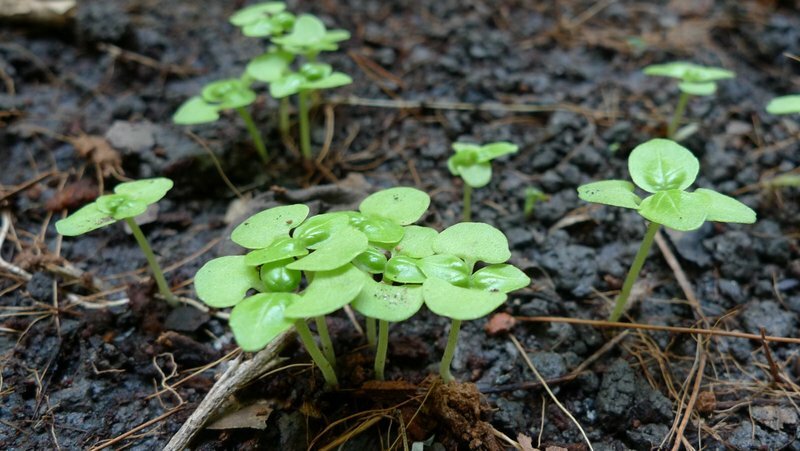 Seeds can be started in cardboard egg containers, or any small plastic containers with holes punched into the bottom. I like the egg cartons because each little egg-well seems the perfect size for two seeds. Then I just sort of tear the whole well out or gently scoop into large containers. Then, once the sprouts emerge they can be moved to a gentle sun.However, all that being said, I often just wing it and get some amazing results, even when my prof. horticulturally trained friend tells me I’ve done everything wrong. It’s all about the love!!! (ok, yeah, and a bit of learned experience too)Keep updating with the pics! @godisinthewind – Thanks for all your tips. Very helpful. I’m going to go to the garden shop this weekend and buy some more pots, so I can get those tomatoes separated. Don’t know how many plants I need, so may reduce the total number by about half. The egg cartons here are all plastic; no cardboard ones to use, sadly. 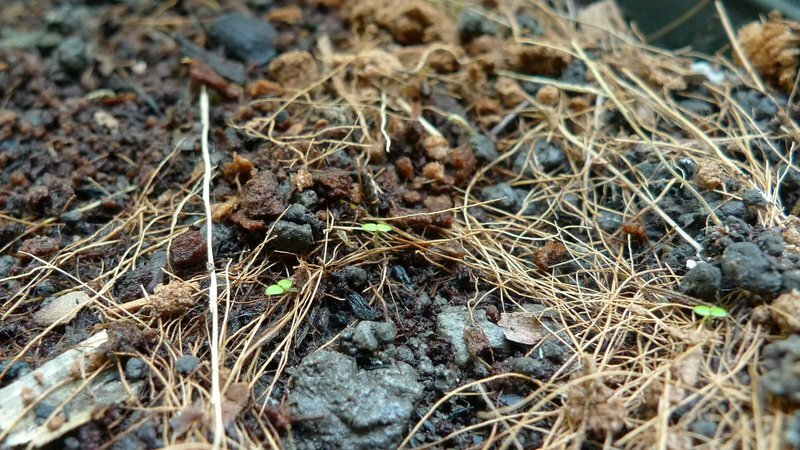 @ElusiveWords – I thought of using mulch but I still have some seeds that are yet to sprout. I think the mulch will make it harder for them. The pots are out of the direct rain now and once the plants get a bit taller I will start adding some mulch.